Submitted by Grace Roulet on Tue, 06/08/2010 - 12:13. I thought I would take today to write about the state of the Gulf of Mexico due to British Petroleum's stupidity. Because they decided to tell the people on the oil rig to speed up progress, they became reckless and stressed and made a mistake. When the rig exploded, not only did it cause a HUGE oil spill, but it also killed 11 workers. The oil has been confirmed "as far as 3,300 feet below the surface 42 miles northeast of the well site." The concentration of the oil gets less and less as it goes deeper but it also means that the animals and fish that are that deep are also bathing in crude oil. Birds who are in the water are also getting crude oil on them then (if they can fly) fly away trekking the oil wherever they go. Many people who live on the coast fish for a living and now they can't make any money because the fish is bad. So, my question is will BP be paying restitution to the families of the dead AND the families who are losing money everyday because they can't do their jobs? I think they should. Submitted by Gone Fishin on Tue, 06/08/2010 - 17:18. They should pay dearly, but no amount of money will compensate for the damage that was caused. It is sickening.. Submitted by noner on Tue, 06/08/2010 - 17:40. Seven weeks into the oil spill crisis, there is still confusion and uncertainty about how to protect the people cleaning up the mess, reports CBS News medical correspondent Jennifer Ashton. Commercial fisherman George Jackson was overcome by fumes while inspecting boom; BP gave him no protective gear. "They didn't supply us with nothing," says Jackson. "Now they're starting to disperse gloves and hazmat suits." Submitted by Norm Roulet on Tue, 06/08/2010 - 21:50. I don't expect BP to survive. I stopped by a BP to buy something today and there were customers for newspapers and such but not for gas... on top of the cleanup costs, I think people just hate them now. Hard to survive as a business that is globally hated.... and we are just getting started hating them...! Submitted by westward on Tue, 06/08/2010 - 23:15. I am glad that you posted on this, Grace. I am still in a state of shock as this is an on going tragedy. The oil will spread to the east coast, then onwards to Europe. The devastation is incredible. This is criminal, and worst of all, it all started with stupidity of drilling the ocean floor. That should have never been allowed. Right after the explosion, Norm wrote that the heart of the earth has been pierced, and is bleeding. That haunts me, because that is the truth. Submitted by Evelyn Kiefer on Wed, 06/09/2010 - 00:19. The loss of the 11 workers, the suffering inflicted on all who live near the coast and depend on the water to make a living, then all the marine and avian life that will die and suffer -- all the result of human greed. I have always loved Florida for its natural beauty. I have visited the Keyes often since I was a child and can't stop wondering what it will be like there and in the rest of the Gulf Coast and where ever the currents take the oil, in the future. It terrifies me that there are so many more wells like this one and similar accidents could occurr. Submitted by lmcshane on Wed, 06/09/2010 - 02:25. I am so terrified, too, for what we have allowed America to represent--corporate greed at it's worst. I am deeply disappointed in President Obama for the blind faith that he and so many others have put in the bottomline mentality that is destroying our environment and the human spirit. It is happening in the treatment of all life--including the children we raise here in America--with the schools we have turned into prisons. I am sorry we have allowed our government to serve corporate greed and corporate madness, Grace. I am sorry that you have inherited this world. Submitted by Gone Fishin on Wed, 06/09/2010 - 20:33. BP's damage is irreversable. BP has ruined the lives of so many people and wildlife that can never be replaced. sad. Submitted by Gone Fishin on Wed, 06/09/2010 - 21:18. Wow! Our protest last Friday at BP's lobbying offices in Washington, D.C., was raucous and inspiring. Watch the video of our BP protest! Activists from Public Citizen and other organizations, including Greenpeace, Friends of the Earth and Hip Hop Caucus, read criminal charges against the oil behemoth and staged a mock citizen's arrest of BP CEO Tony Hayward. Judging from the number of activists who joined the protest and the amount of media coverage of the event, it's as clear as oil-free water that people are not going to let BP off the hook for this disaster. If you weren't able to come to D.C. for the protest, watch the video and you'll feel like you were there. Visit www.BeyondBP.org to catch up with more news, blogs and videos about the protest and the boycott campaign. And, if you haven't already, take the "Beyond BP Pledge" to boycott BP! Stay tuned for more updates about how to help grow the movement to hold BP accountable for its criminal negligence. Believe it. Senator Lisa Murkowski's (D-Alaska) amendment to take away the Environmental Protection Agency's (EPA) authority to regulate pollution that contributes to global warming is scheduled for a vote tomorrow. Tell your senators to vote "No!" to the Murkowski amendment (officially "S.J. Res. 26"). The Murkowski amendment seeks to reverse the EPA's critical finding that greenhouse gas pollution endangers public health. This endangerment finding triggers the Clean Air Act and prompts the EPA to take action toward curbing pollution that contributes to climate change. We know that the fossil fuel industries like the amendment -- they helped write it. Jeff Holmsted, a lobbyist for energy giants like Southern Co. and Duke Energy, admitted to The Washington Post that he worked with Murkowski's staff on the exact language of the amendment. This is after Murkowski received more than $124,500 from Holmsted's clients. Don't let big polluters use their big campaign contributions to rewrite the law to pollute more! Tell your senators to protect the Clean Air Act. Murkowski's attempt to eviscerate our best existing tool for reducing greenhouse gas pollution not only threatens our ability to reduce the carbon in our atmosphere but also serves as another shameful example of the role big polluters are playing in stalling climate change action. Submitted by Gone Fishin on Thu, 06/10/2010 - 05:17. 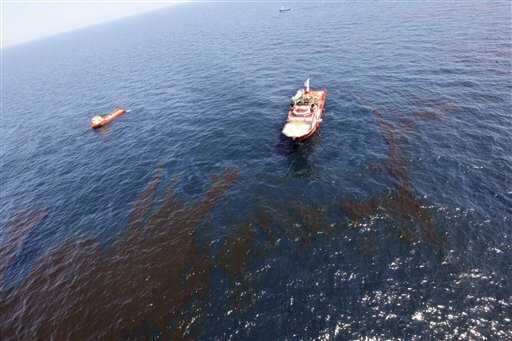 MoveOn is holding rallies around the country to support bills to raise BP's liability for the Gulf oil spill. In Cleveland this will take place Thursday, June 10, at 11:30 am at 200 Public Square (former BP Building). Submitted by noner on Thu, 06/10/2010 - 07:58.
they are already starting to whine and threaten to file for bankruptcy. their stock has fallen 50%. Submitted by Gone Fishin on Thu, 06/10/2010 - 17:31. Submitted by Norm Roulet on Thu, 06/10/2010 - 18:19. WASHINGTON: The name Vladas Zajanckausas isn't one that jumps out of the headlines here in America, much less in India. He's a 93-year-old Lithuanian-American, who for years has been fighting a US government move to deport him for trial to Lithuania for alleged Nazi war crimes. The case is illustrative of how when the US government wants to, it can pursue a criminal no matter how old he is and how long it takes them to nail him. Despite a Massachusetts district court stripping him of his US citizenship in 2006, Zajanckauskas remains in the United States as his lawyers appeal his case. He most recently wrote a 99-page memoir titled My Bits of Life in This Beautiful World, which describes his childhood and wartime experiences. But bit by bit, the US Justice Department's Office of Special Investigations has been relentlessly chipping away at his defense in an effort to deport him, a result that will make him the oldest person ever to stand trial for war crimes. In another case involving a nonagenarian, after legal wrangles that lasted more than two decades, the U.S Supreme Court in 2009 ordered the deportation of John Demjanjuk, a retired auto worker similarly accused of Nazi war crimes. Taken from his Cleveland home in an ambulance, Demjanjuk, who is 90, was put on a plane to Germany, where he now awaits trial. So far, there is no such intent or purpose from Washington in the case of Union Carbide's Warren Anderson, who is now nearing 90, and living in seclusion in a Long Island suburb in New York. US officials have indicated that they would prefer the matter of Anderson's extradition not be reopened, even as a raging debate has erupted in India over how he was allowed to leave India in the aftermath of the disaster. While the scuttlebutt is that the then Reagan administration put pressure on New Delhi to release Anderson (he is said to have come to India after explicit assurances that he will not be arrested), the US is a different place in a different mood today, particularly after the BP oil spill disaster. Although the Obama administration's initial reaction was to duck questions about Anderson's extradition, there are dissenting voices even within the political establishment who make no concession for the Bhopal villain's age, given the gravity of the crime. "Warren Anderson absolutely deserves to be extradited from the US and punished for the full extent of his crimes," Frank Pallone, a New Jersey Congressman said in a statement on Wednesday, challenging the Obama administration's dodginess on the matter. "As chairman of Union Carbide at the time of the Bhopal gas disaster, Mr. Anderson was ultimately responsible for his company's actions." After nearly 15 years in hiding, and almost a decade after he was declared an absconder by an Indian court, Anderson was served papers in 2002 by a Greenpeace activist, around the same time a US Marshal knocked on Zajanckauskas door to serve him his papers. But while the US government's relentless pursuit of justice in that case has caused Zajanckauskas $200,000 in legal bills, forced him to sell his house in Millbury, and taken a toll on his health and that of his 81-year-old wife, Vladislava, Anderson continues to live a quiet, retired life with his wife Lillian, untouched by the law. The couple lives in a million-dollar home in a Long Island suburb and owns another property in Florida, to where they repair during winter. Environmental activists believe that the time may now be ripe now to renew pressure on Washington to act against Anderson. "The BP disaster and the general mood against corporate excesses provide an opening for this," says Bridget Hanna, a Harvard scholar and author of The Bhopal Reader: Remembering Twenty Years of The World's Worst Industrial Disaster, who has been an ardent activist for the victims, spending months at a time in Bhopal. "The Obama administration may be more receptive on this matter." So far though, there is no indication that New Delhi is ready to engage Washington on the matter, despite support from U.S quarters. Hanna, who will return to India in September this year to spend the next two years in Bhopal, feels that with growing environmental consciousness across the world, a disaster that seemed to have faded away from public memory has returned and New Delhi should press for both justice and greater reparation Pallone agrees, saying "All those responsible for this disaster, including Warren Anderson, should stand trial in India and receive punishment that reflects the devastation and pain they have caused for thousands of people." Anderson meanwhile has not spoken to the issue after being largely unrepentant at the time of the disaster and maintaining it was the responsibility of Carbide's Indian subsidiary. Except to say that Union Carbide had been stigmatized and would spend decades trying to erase the stain, he expressed little regret. That stain has not been erased; nor has Bhopal's pain. Submitted by noner on Fri, 06/11/2010 - 12:11. BP is coming under increasing criticism for how it’s handling claims from Gulf residents who have lost jobs or income due to the oil spill in part because BP has hired the firm ESIS to handle its claim process. ESIS describes the goal of its services as "reducing our client’s loss dollar pay-outs." The New Orleans-based organization Advocates for Environmental Human Rights says the hiring of ESIS indicates that "BP’s goal is to minimize the amount of money it pays to claimants."